Coconut oil is a highly saturated fat pressed from the meat of mature coconuts of the Cocos nucifera palm. Although there are several different types of coconut oil available for purchase today (fractionated-liquid, never solidifies, RBD-refined, bleached and deodorized, hydrogenated, organic or not), our personal favorite recommendation, is virgin coconut oil (VCO). Coconut oil is having a moment of fame as a “super food” right now, even though various indigenous peoples all around the world have benefited from the use of coconut oil, coconut meat, coconut milk, coconut shells, coconut palms, since, well, forever. 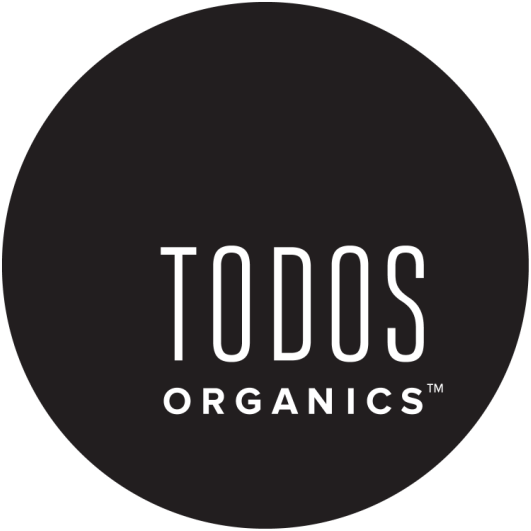 Why Todos Organics Botanically Infused Coconut Oil? All our products are all carefully produced & packaged under the FDA's suggested GMP (good manufacturing process) guidelines in our lovely Berkeley CA studio. We make everything in small-batches, hecho a mano (by hand). We choose our raw materials very selectively and only use certified organic ingredients. One ingredient we're particularly smitten with is our coconut oil- it comes from Colima, MX and is the only coconut oil certified USDA organic AND MX Biocert. Each batch of our Botanically Infused Coconut Oil is warm infused for up to 8 weeks in 5-10 gallon batches. Never heated above 85 degrees, heaps of dried whole-plant material soaks in the luscious oils, imparting their subtle fragrance and beneficial properties. Nothing, no chemicals, no preservatives, no essential oils, not nada, is ever added to them. If you can’t put it in your body, you really shouldn’t put it on your body, so yes, of course you can eat it!